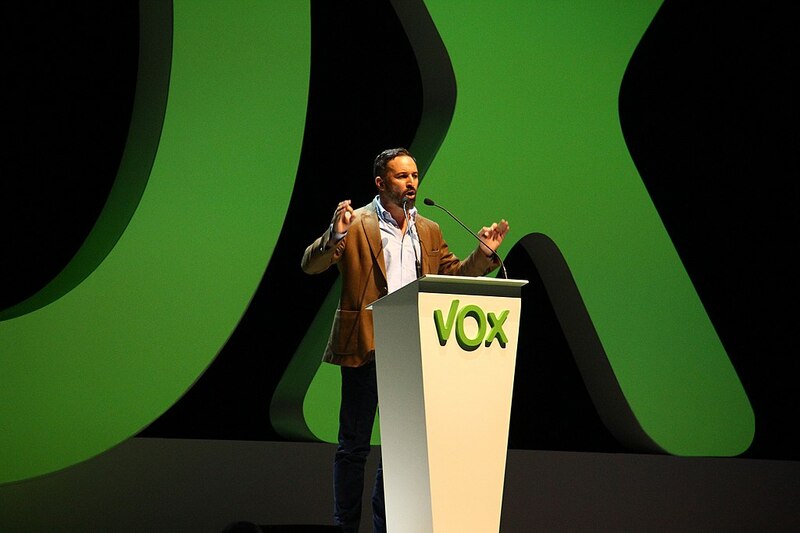 Santiago Abascal, president of VOX giving a speech in Vistalegre, Spain, October 2018. Brussels is worried that Spain, the euro zone’s fourth-largest economy, could be affected by political fragmentation and the emergence of the far right. As reported by Spain’s daily El País, the risk is creating apprehension among European Union institutions, which view Spain as one of the few member states that supports European integration and remains free of extremist parties. “Spain is not Italy,” said officials at the European Commission when Spanish Prime Minister Pedro Sánchez, of the Socialist Party (PSOE), took office in early June of last year, just a few days after the Five Star Movement and far-right League formed a coalition government in Italy. Brussels made a point of underscoring Madrid’s commitment to EU rules as opposed to the constant putdowns by the Italian vice-presidents, Luigi di Maio and Matteo Salvini. Today, however, the differences with Italy are not quite as obvious to Brussels. For instance, Sánchez’s administration will set a record as the shortest-lived in the history of Spanish democracy. For the fourth year in a row, Spain has failed to meet the deadline to file its spending plan in Brussels, and for the third year in a row the previous year’s budget has been extended. According to El País, polls suggest that Spain’s April 28 election will probably result in deadlock, with progressive and conservative parties holding a similar number of seats. And the role of kingmaker could go to Vox, a far-right party that has aligned itself with the eurosceptic theories that are favoured in countries such as Hungary and Poland.